Our 100% commission real estate agents and brokers in Los Angeles are some of the most successful agents in the city and county. Capitalizing on modern technology, they work from home, one of our 1200+ worldwide affiliate office locations, or any other remote location of their choosing. Utilizing our cutting edge Agent Portal™ and transaction management platform, they maintain access to 24/7 broker support, training, marketing, and countless other tools while benefiting from the savings of a 100% commission split. Los Angeles County, established in 1850, is one of California's original counties. With a population of just under 10 million, it is California's most populated county and is more populous than 42 individual U.S. States. 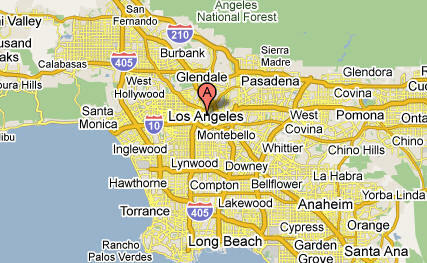 Los Angeles County's largest city is Los Angeles, which is also the second-largest city in the United States. Los Angeles County covers an area just over 4,000 square miles of land, just under 700 square miles of water, and includes two offshore islands, Santa Catalina Island and San Clemente Island. Over twenty-five percent of California residents are located in Los Angeles County, which includes 88 incorporated cities and numerous unincorporated areas. Los Angeles County is well known for its ties to the entertainment industry, and is home to many major recording and film studios, including Walt Disney, Paramount Pictures, 20th Century Fox, and Warner Bros. Los Angeles County is also a large hub for international trade, through the Port of Los Angeles, and supports other major industries such as law and medicine. With a strong economy, diverse demographic, and a homeownership rate of almost 48 percent, Los Angeles is a great place to be if you are a REALTOR®...and even better if you are a REALTOR® earning 100% commission. Selling real estate in Los Angeles can be a very exciting, rewarding, and prestigious profession. 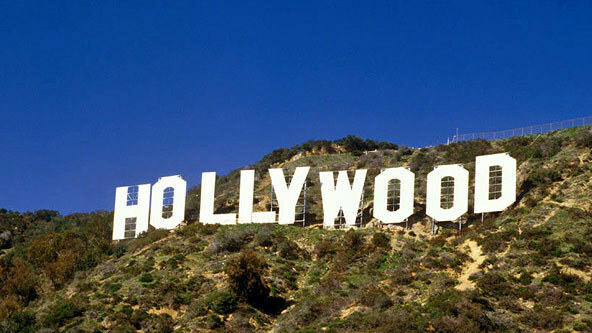 Many well known real estate reality shows are based in Los Angeles, including the HGTV show "Selling L.A.". With property values ranging from under $100k to over $100M, Los Angeles real estate agents and brokers have unlimited growth potential, and many Los Angles County REALTOR® earn six to seven figure incomes! Over the past few years, however, a large number of Los Angeles County real estate agents and brokers have grown tired of the high company fees and commission splits they deal with when working at traditional brokerages, and have chosen to take advantage of our comprehensive 100% commission plans. United Realty Group is home to many 100% commission Los Angeles real estate agents and brokers in Augora Hills, Alhambra, Arcadia, Artesia, Avalon, Azusa, Baldwin Park, Bell, Bell Gardens, Bellflower, Beverly Hills, Bradbury, Burbank, Calabasas, Carson, Cerritos, Claremont, Commerce, Compton, Covina, Cudahy, Culver City, Diamond Bar, Downey, Duarte, El Monte, El Segundo, Gardena, Glendale, Glendora, Hawaiian Gardens, Hawthorne, Hermosa Beach, Hidden Hills, Huntington Park, Industry, Inglewood, Irwindale, La Canada Flintridge, La Habra Heights, La Mirada, La Puente, La Verne, Lakewood, Lancaster, Lawndale, Lomita, Long Beach, Los Angeles, Lynwood, Malibu, Manhattan Beach, Maywood, Monrovia, Montebello, Monterey Park, Norwalk, Palmdale, Palos Verdes Estates, Paramount, Pasadena, Pico Rivera, Pomona, Rancho Palos Verdes, Redondo Beach, Rolling Hills, Rolling Hills Estates, Rosemead, San Dimas, San Fernando, San Gabriel, San Marino, Santa Clarita, Santa Fe Springs, Santa Monica, Sierra Madre, Signal Hill, South El Monte, South Gate, South Pasadena, Temple City, Torrance, Vernon, Walnut, West Covina, West Hollywood, Westlake Village, and Whittier. Under our 100% commission structure, our associates in Los Angeles County keep 100% commission for as low as $125/month + $125/transaction (Gold Plan), or $550/transaction (Silver Plan). As an example, one of United Realty Group's 100% commission Los Angeles real estate agents closed a $932k transaction, with a total commission of $23,300. Based on his 100% commission plan, his net check was $23,175! If you are looking for a 100% commission real estate brokerage in Los Angeles, United Realty Group is the brokerage for you! All of our Los Angeles real estate agents and brokers are enjoying our 100% commission plans, and most are literally saving tens of thousands of dollars a year in commissions. In addition to United Realty Group's 100% commission plans, we offer 24/7 broker support, training, leads, turnkey marketing campaigns, IDX websites, in-house escrow and transaction coordinating, lifelong residual income for recruiting other agents, MLS access throughout the state, and much more! At United Realty Group, our 100% commission plans barley scratch the surface of all we have to offer. For more information about becoming a 100% commission Los Angeles Realtor with United Realty Group, please contact us for a quick response from one of our brokers. Give yourself a raise, start earning 100% commission today!